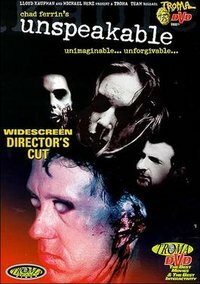 Unspeakable is a 2000 exploitation film written and directed by Chad Ferrin and starring Roger Garcia, Tina Birchfield, and Timothy Muskatell. This webpage uses material from the Wikipedia article "Unspeakable_%282000_film%29" and is licensed under the GNU Free Documentation License. Reality TV World is not responsible for any errors or omissions the Wikipedia article may contain.